Where Do Renters Have A Shot At Homeownership? Largest share of renters who earn enough to buy were largely located in the South and Midwest. Three of the top 10 markets are in Ohio. As of June 2016, median existing home price was $199,900 in the Midwest and $217,400 in the South. Student debt, high renting costs, low rates of affordable inventory — is homeownership totally out of reach? Not in the Midwest and South, according to research from the National Association of Realtors (NAR). While the homeownership rate is now at its lowest level since the mid-‘60s, some regions of the U.S. offer affordable rents and strong employment rates to keep the American dream alive. NAR analyzed employment growth, household income and qualifying income levels in 100 of the largest metro areas in order to determine where renters can afford to invest in a home. The largest share of renters who earn enough to buy are condensed in Southern and Midwestern markets — with three cities in the top 10 list landing in Ohio. “Overall housing affordability and local job market strength play a pivotal role in a renter’s decision on whether to buy a home or sign another lease,” Lawrence Yun, NAR chief economist, stated in the report. Is Ohio a renters’ ticket to the American Dream? Almost half of renters in Toledo (46 percent) can afford to purchase a home. Little Rock holds the same share of renters with the financial capability to own. In Dayton, 44 percent of renters could own. Columbus holds 38 percent of renters who can afford homeownership to give Ohio a total of three cities in the top markets where renters can own. Also in the Midwest, St. Louis has 41 percent of renters that could own. To the south, 41 percent of renters in Lakeland, Florida, have the ability to buy. In Columbia, South Carolina, 41 percent of renters could buy. Forty percent of renters in Atlanta would qualify to buy. Forty percent of renters in Atlanta could financially qualify to buy. In Tampa and Ogden (Utah), 38 percent of renters can afford to buy. In the Midwest and South, the median home sales price is lower than in the Northeast and West. Despite mid-sized cities in these regions facing longer recession lags, the labor markets have picked up the slack to help more renters find work. According to NAR’s second quarter HOME survey, the majority of respondents in the Midwest (80 percent) and the South (77 percent) see now as a good time to buy. 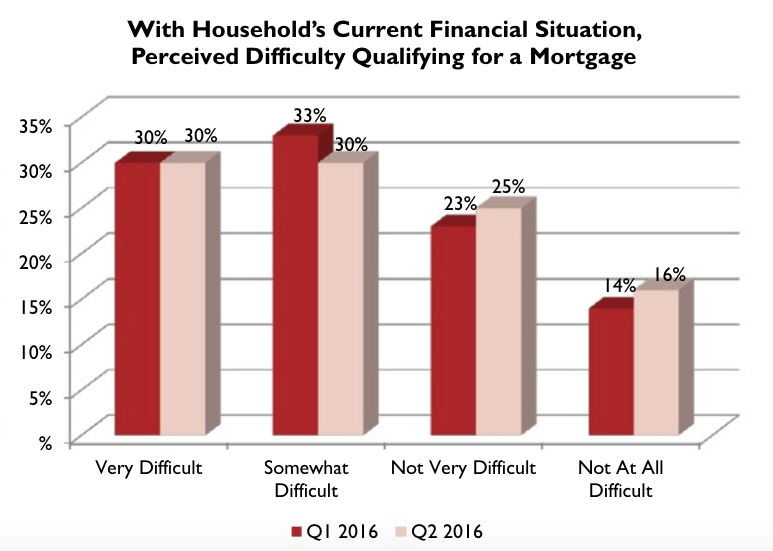 Since mortgage rates have hit rock bottom (in a good way), renters in the aforementioned areas might want to take advantage of the homeownership opportunities available. How are most couples splitting their down payments?